The 7.2 Mexicali earthquake caused at least $91 million in damage on the California side of the border, according to Gov. Arnold Schwarzenegger. SACRAMENTO, Calif. /California Newswire/ — Governor Arnold Schwarzenegger today sent a letter to President Barack Obama through Federal Emergency Management Agency Region IX Regional Administrator Nancy Ward requesting a disaster declaration for the state of California as a result of the April 4 earthquake centered in Baja California, Mexico. 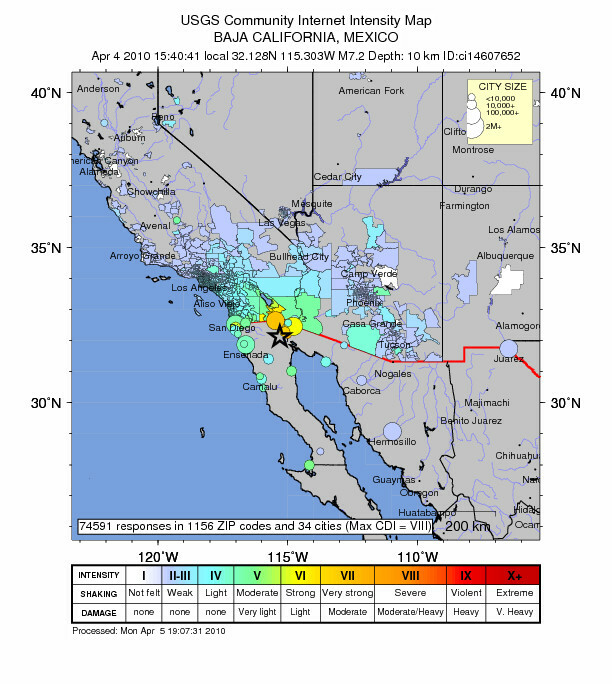 The earthquake was widely felt in Southern California, particularly in Imperial County. This event has destroyed and caused serious damages to homes, businesses, schools, water treatment and storage facilities and other public facilities in Imperial County.